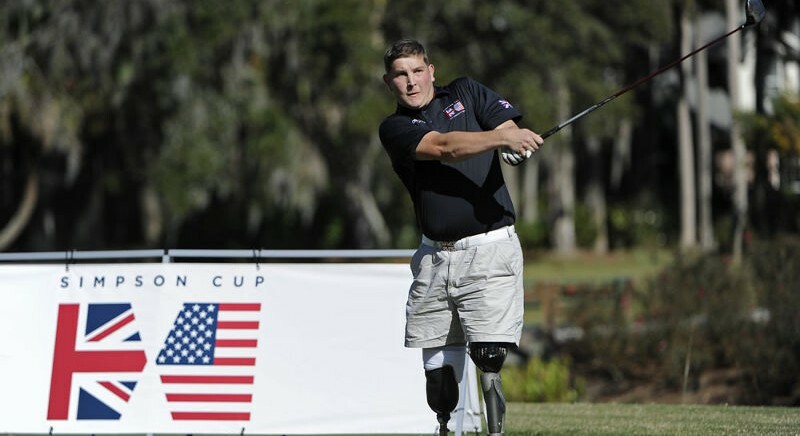 Royal St George’s Golf Club in Kent is preparing to host the 2015 Simpson Cup, a Ryder Cup-style competition between injured servicemen and veterans from Great Britain and America, from 20-23 September. The Simpson Cup (www.simpsoncup.com), inaugurated in 2012 by local Kent golfer John Simpson, aims to raise funds and awareness for the On Course Foundation, a charitable organisation registered in both the UK and the US. All the competitors taking part are members of the On Course Foundation which helps men and women who were injured, sick or wounded in the line of duty to rebuild their lives by giving them the opportunity to play the game and gain employment in the golf industry. Simpson, who himself has only one fully-functioning leg as a result of suffering polio as a child, was born in the county, attended St Lawrence College Ramsgate and is a member of Royal St George’s, so this year’s event carries something extra special as it is being played at his home club. An Opening Ceremony at 5pm on Sunday, 20th September, will launch the competition with a march-past from the Coldstream Guards, a rifle shot segue into the National Anthem and a Spitfire flypast. The following day sees the player/sponsors’ competition taking place, before the tournament begins in earnest on Tuesday, 22nd September, with six four-ball matches followed by 12 singles matches on Wednesday, 23rd September. The whole event is open to the public and is free of charge. Team USA will arrive at Royal St George’s as the defending champions, having lured the Cup away from Team GB at Congressional after they had clinched the previous two events. This year former Ryder Cup captain, Bernard Gallacher, takes the reins of UK team.